Plenty of lights with the Blackpool Illuminations and the Illuminated Tram Display. 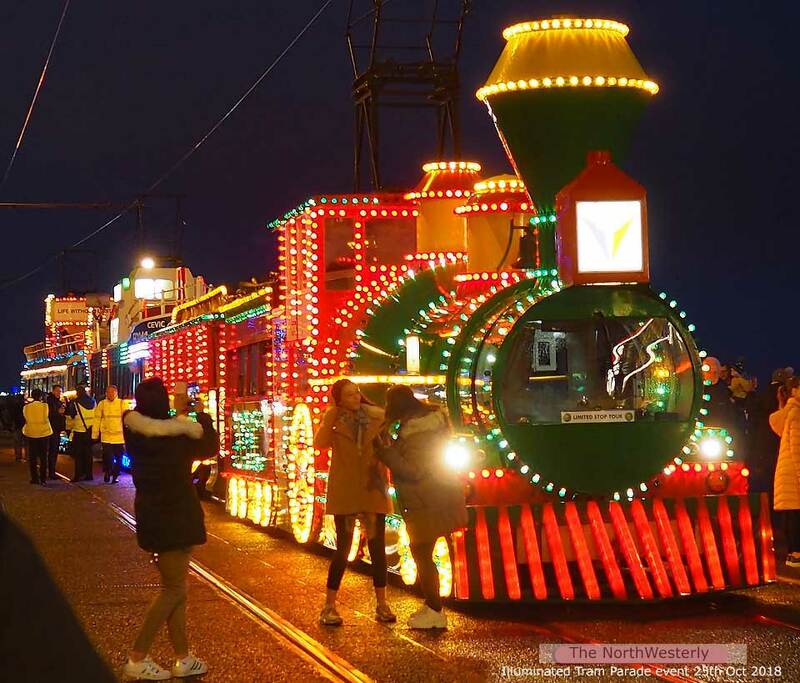 The old illuminated trams are operated by Blackpool Heritage Tram Tours and include the Western Train, The Fisherman’s Friend Trawler, The Frigate: HMS Blackpool. Making up the line in the parade is one of the Boat Trams with its pretty lights and Box 40 a 100 year old Blackpool & Fleetwood Tramway tram. 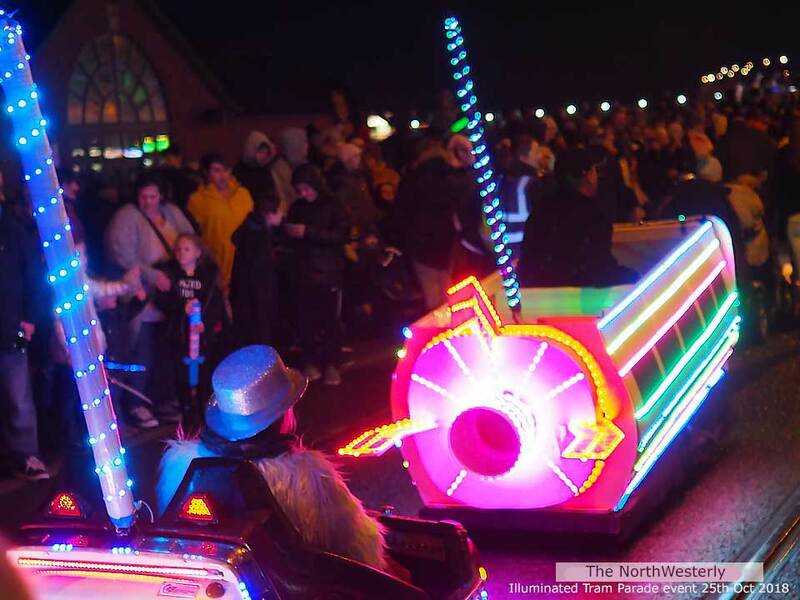 Rides on the illuminated trams at this event are booked ahead and sold out. 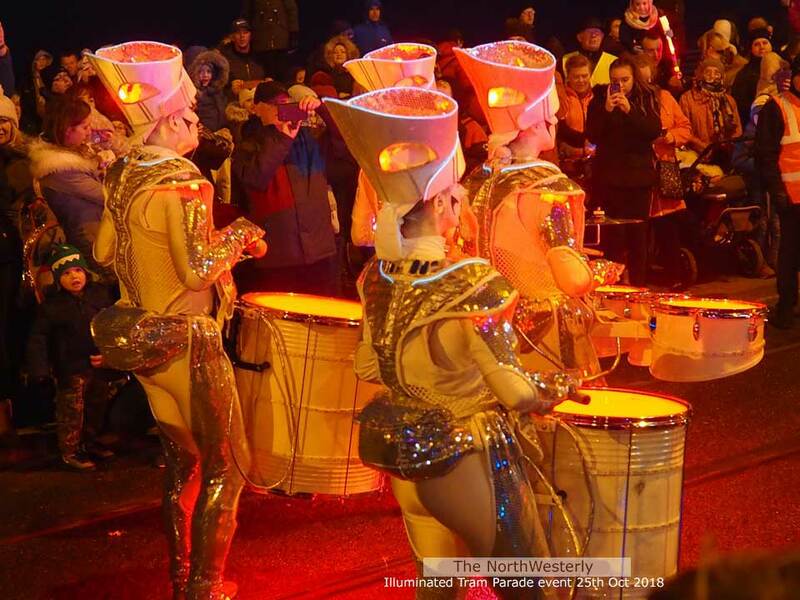 The parade has a variety of illuminated vehicles and drummers. 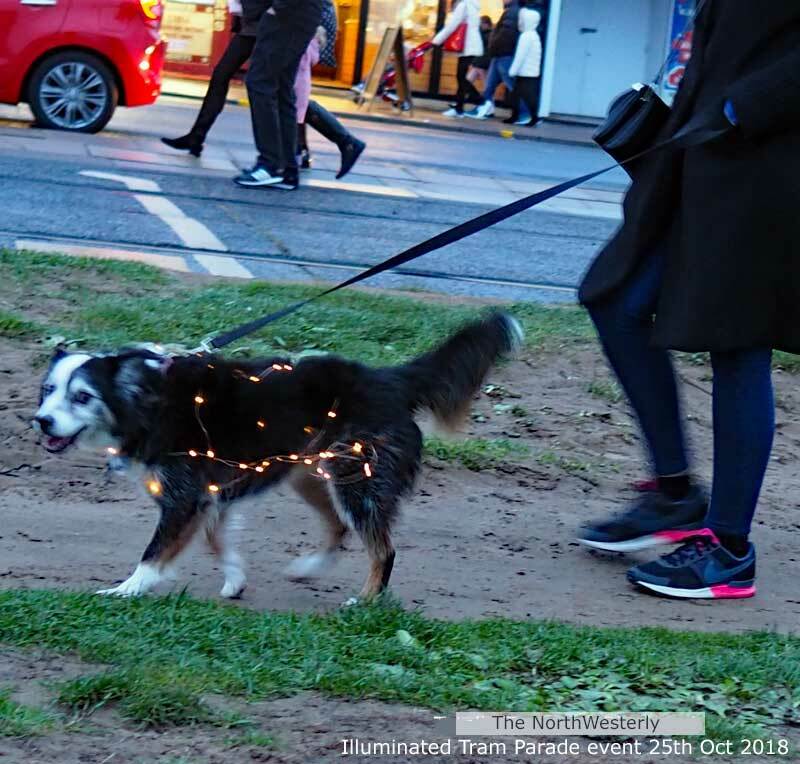 Plus an illuminated dog. 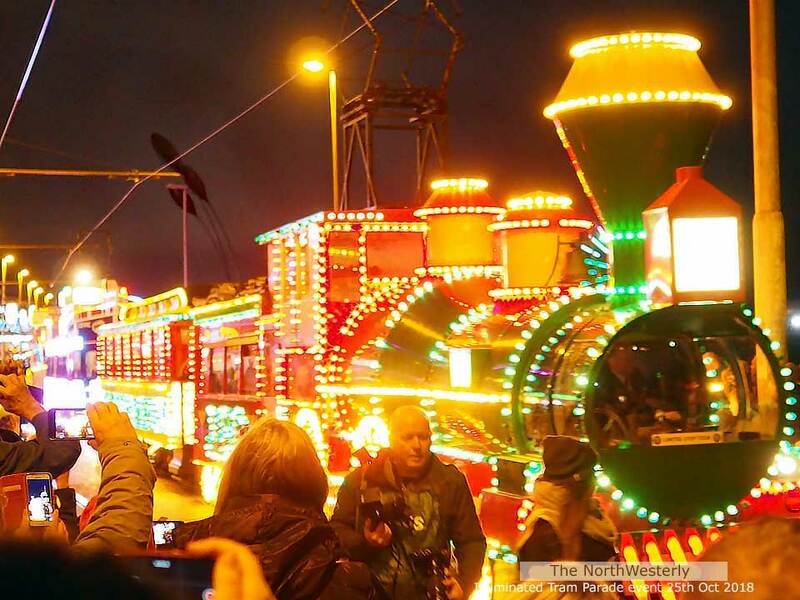 This entry was posted in Heritage, Travel and tagged Blackpool Heritage Tram Tours, Blackpool Illuminated Tram Parade. Bookmark the permalink.